Dystopia is invading our reality, every day ever faster. The deception of Business As A System Of Power is so monumental that it is taking the planet down, and the disaster is hidden in plain sight. Only those who can comprehend its key aspects can see the edge of the precipice approaching. And the only solution that will work for any cleanup attempts to ever be successful is that corporations quit producing UNrecyclable plastic at the consumer level practically overnight! These days, close to 90% of what we can find on supermarkets shelves is wrapped in plastic, even fresh produces. However, the time frame may reveal itself as a domino that could collapse the world economy if any drastic step is taken. Biodegradable plastics will also make prices go up (less profits for food industry, mass lay-offs) and only are 50% of the solution. Getting everything in bulk will also improve the situation for example. Materialism is a total illusion when doing things for profits. Profits are blind to the consequences of greed. Though materialism enhances the spiritual aspect of Life, and otherwise. That is how it should work. Materialism and spirituality must evolve in sync. But today society suffers from a materialistic overdose that is not going to end well. Materialism without the spiritual/cosmic edge is a “great destroyer”. That is why a money-free society is the only solution to keep materialism “under control” since it cannot be used to enrich oneself. And materialism, on top of that, also plagues all human interactions. That is how reality really works: not seeing a problem, does not mean that the problem does not exist. Materialism rules over what is seen, and will tend to dismiss the layers beneath the surface. As long as the surface looks okay, everything is fine? As long as I can make a decent living, the world is fine? But as more knowledge has been gathered for us to make sense of what is happening, it is clear that Reality is close to become unbearable, and now it is time to do something about it. Obviously we cannot keep on chasing money anymore. We need to be brutally honest with ourselves first. That we got to this point is the evidence that “materialistic premises” and the competition model do not work for human beings, simply because we have the duty to elevate ourselves above animal behaviors. There are no animals capable of killing all life on the planet, are there? So why do so many people continue to believe that we are no better than animals? And this pure indoctrination justifies the Business As A System Of Power(pecking order) of course. Bingo! 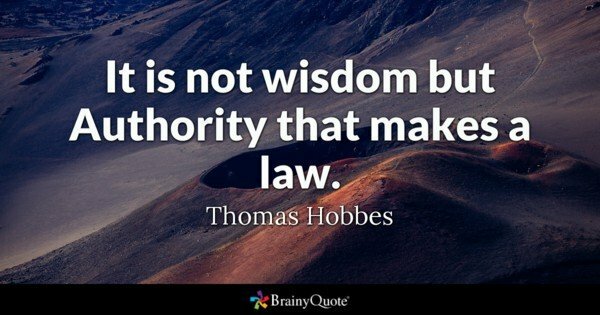 Thomas Hobbes was a political philosopher who served the elites, and can be considered as the “Edward Bernaise” of his time. Hobble’s harmful legacy is still with us. The system is clearly designed for/by the upper class only. That is how and why corporate powers own world governments. Unfortunately that is the only outcome possible with monetarism. Money cannot serve the interests of the average people — but surely makes them dream. The game is rigged, from a to z. The great upside though is that we now have gained the understanding that we only have the Laws of the Universe to rely on, and the latter tell us that the only way to make it as a species is to collaborate and contribute. And this magnifies the absoluteness of the Intelligent Design. There is a Force in the Universe that wants us to develop empathy to resolve world issues. Make no mistake, this battle is metaphysical above all. It is the Mind that controls the material. Not the other way around as societies taught their populations for about millennia. Researchers from the Medical University of Vienna and the Environment Agency Austria monitored a group of participants from countries across the world, including Finland, Italy, Japan, the Netherlands, Poland, Russia, the UK and Austria. 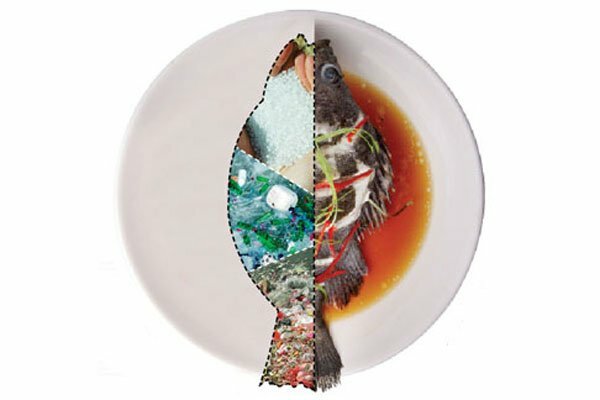 The results show that every single stool sample tested positive for the presence of microplastic and up to nine different plastic types were identified……….. Lead researcher Dr. Philipp Schwabl, who is presenting the findings at the 26th UEG Week, commented: “This is the first study of its kind and confirms what we have long suspected, that plastics ultimately reach the human gut. Of particular concern is what this means to us, and especially patients with gastrointestinal diseases. While the highest plastic concentrations in animal studies have been found in the gut, the smallest microplastic particles are capable of entering the blood stream, lymphatic system and may even reach the liver. Now that we have first evidence for microplastics inside humans, we need further research to understand what this means for human health………..